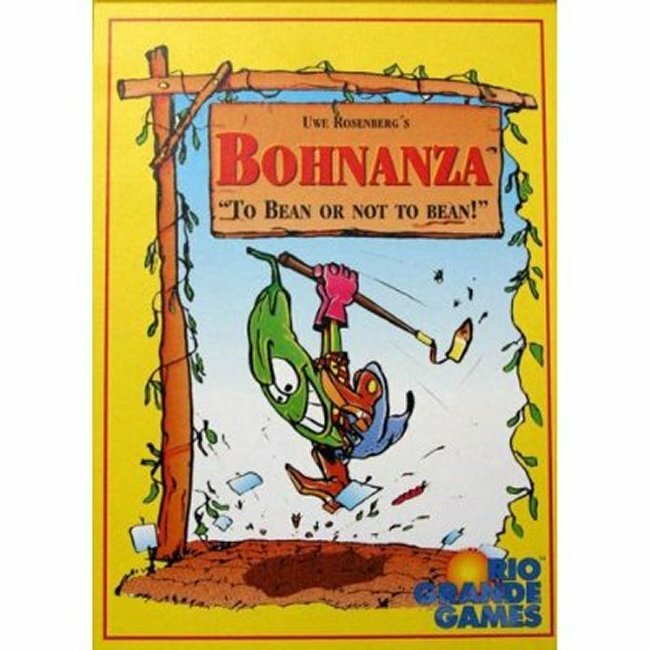 Most folk have never planned on being a bean farmer, but Bohnanza takes this crazy theme and makes it work in this enjoyable card game. Players must trade with one another to plant fields of lucrative beans, as they manipulate the cards in their hands to get the best deal. Known as one of the most fun trading games around, Bohnanza can handle up to six players and can be played in about half an hour! Humorous artwork, clever gameplay, and high interaction make Bohnanza one of the most loved games of all time. This edition of the game is a combined set, equivalent to the original Bohnanza game plus the 6-7 player expansion. Sellers Note: This game is a family favorite. Although the theme of the game (bean farming and trading) may sound boring, it's actually a lot of fun. The mechanics of the game are quite unique which makes the game fun and challenging. Yet, it's easy enough for my youngest kids to play and enjoy the game along with the adults. I definately recommend giving this game a try!